The lemon water detox diet is one of many diets that claim to detoxify your system. Detoxification is not considered necessary by medical professionals since the body's natural detoxification systems are usually sufficient for this task. However, both lemon and water are good for you. So drink lemon water if you want, but beware of any diet that tells you to drink it instead of eating nutritious, well-balanced meals. Consult your doctor if you plan to begin a detox regimen. 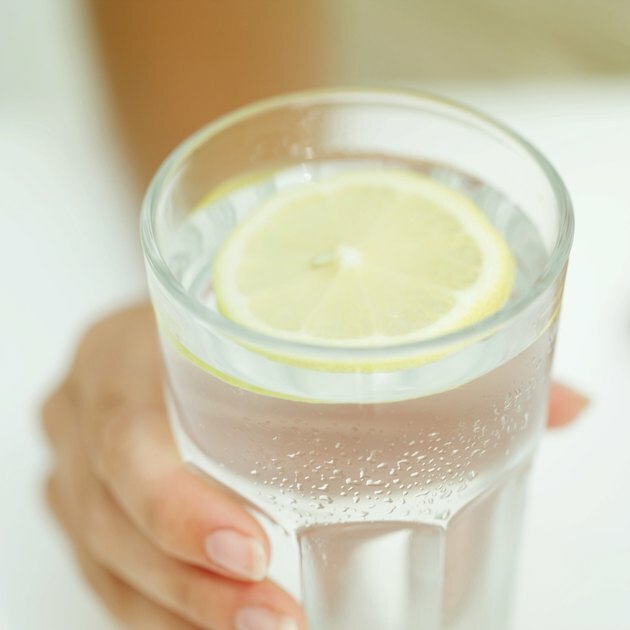 The lemon water detox diet is one name for a fad diet that is sometimes known as "the master cleanse," "the lemonade diet," "lemon cayenne pepper detox" or other, similar names. The premise is that drinking lemon water, sometimes blended with other ingredients, without eating any solid food for a period of days, helps cleanse your system of toxins. There is no scientific evidence to support the idea of detoxification, according to an evaluation of the medical research by Consumer Reports magazine. Your body is equipped with the means to remove toxins naturally. Eating a well-balanced diet and getting regular exercise supports most people's natural functioning perfectly well. If you do not eat a healthy diet, do not exercise and suffer from health problems as a result, changing your lifestyle -- not detoxifying for a period of days or weeks -- is a better long-term solution to your problem since sweating during exercise releases toxins. Alcoholism and drug abuse can tax your body's natural detoxification system. If you suffer from addiction, consult your doctor about treatment options. Lemon water is good for you. Lemons are a healthy citrus fruit that contains a significant amount of vitamin C and many other nutrients. Along with the nutritional benefits, lemons will add tangy acidic flavor to your water. You will benefit by including water in your diet, helping you hydrate your system and water allows your organs to function properly. Drinking lemon water instead of sugary beverages is a smart, healthy choice. When you get hungry, drink a glass of lemon water, and this may fill your stomach and make your hunger disappear. However, if you are still hungry, you should eat a nutritious snack, such as carrot sticks, nuts or dried fruit, along with your drink. Diets that severely restrict your caloric intake might initially cause you to lose weight, but they are ultimately ineffective. Eventually, you must eat solid food to stay alive. When you do, you are likely to quickly regain the weight you lost. Detox dieting can be addictive, according to the KidsHealth website. Detox dieting can also cause severe diarrhea, nutrient deficiencies, blood-sugar problems, exhaustion and stomach illness. As well, lack of fiber in your diet may result in irregular bowel movements and could slow your metabolism. Do not consider a detox diet if you have a health problem, are pregnant or suffer from an eating disorder.